Our Founding Fathers had a special appreciation for property rights; in fact, the Third, Fourth and Fifth Amendments to our Constitution include protections for personal property. In fact, if one includes the specific Second Amendment defense of gun ownership, four of the first five items in our Bill of Rights addresses property rights. So it’s unfortunate that a federal judge last week rejected the Catholic Diocese of Brownsville’s fight against any federal encroachment made in support its wish to build a border wall, and possible confiscation of the land for that purpose. The issue has led Texas lawmakers in both Congress and our state legislature to offer bills that would strengthen property owners’ rights. We hope their efforts are successful. U.S. District Judge Randy Crane granted federal surveyors access to the historic La Lomita Chapel and surrounding property in preparation for the construction of the wall there. 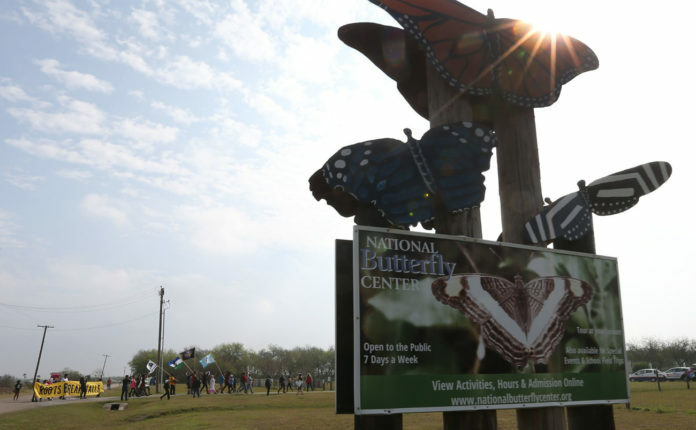 U.S. Rep. Henry Cuellar, D-Laredo, has filed a bill that would prevent the use of federal funds for border wall construction at La Lomita as well as the National Butterfly Center, Bentsen-Rio Valley State Park, Santa Ana National Wildlife Refuge and SpaceX, which also are on the survey list. It’s worth noting that these facilities already have their own security perimeters. Reinforcing certain boundaries, and routing the remaining fenceline to them, seems the least costly and intrusive route to take, if the wall is to be built at all. The bill follows the lead of House leadership who have used the denial of funds to stifle wall construction efforts. The USA Patriot Act, passed in the alarm-filled wake of the Sept. 11, 2001, terrorist attacks, gave the Department of Homeland Security the authority to disregard other laws that might impede actions taken in the name of national security, such as environmental and historic considerations. Without the funding, however, projects can’t be built. The border wall isn’t the only issue for which property owners’ rights need to be protected. At the state level, Rep. DeWayne Burns, R-Cleburne, and Sen. Lois Kolkhorst, R-Brenham, have filed legislation that would place the same restrictions and requirements that currently exist for government entities on private companies. Many enterprises such as private utilities and oil and gas companies have been given eminent domain rights so that they can dig wells or lay transmission lines or pipelines. The proposed legislation would require the private companies to hold public hearings and take other steps to ensure transparency, accountability and fairness, and reduce the possibility that landowners will be unduly pressured to accept less than fair market value for their property or easement. This would affect South Texas landowners who might be asked to make some of their property available for the construction of gas pipelines that would supply any natural gas facilities that might be constructed in the Rio Grande Valley. Personal property such as one’s homestead is the greatest investment most people make in their lifetimes, and most people consider it sacred. After all, it’s more than just a piece of land; it establishes our place in our community and is a legacy that one generation leaves to the next. Any intrusion, whether for a federal wall or a local pipeline, should respect property owners’ rights.